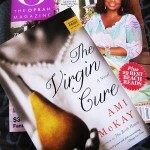 The US publication of The Virgin Cure is only 3+ weeks away (June 26th! 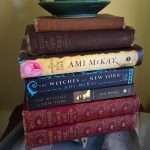 ), so in anticipation of the big day I thought I’d start a new feature on my blog to share some of my favourite memories from the time I spent researching the novel in New York. In a series of “New York Minutes,” I’ll be posting moments from the past couple of years – snapshots, quotes, audio and such. I hope you enjoy them! 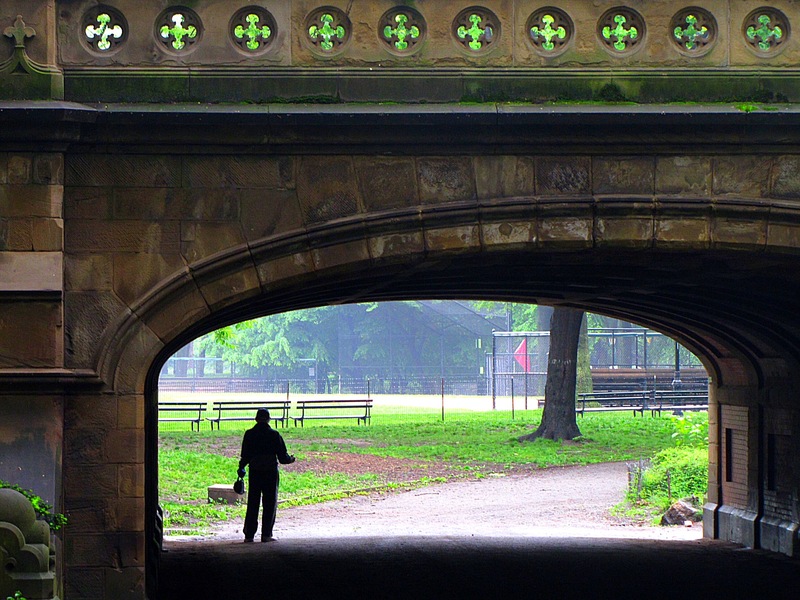 On a rainy morning in May, while my husband Ian and I were strolling through Central Park, we came across a gentleman standing under one of the park’s many bridges. Actually, we heard the man’s voice first, echoing off the stonework in a way that only a true crooner’s voice can. He’d found the acoustic sweet spot under the bridge, and he was lingering there, singing one standard after another, putting the ghosts of Frank, Sammy, and Dean to shame. 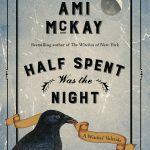 It was a memory to hang the day on, the air misty with romance as Mr. McKay put his arms around my waist for an impromptu dance. We swayed to the music, hoping not to disturb the man into silence. We watched as a sparrow flitted to the ground in front of the man (no doubt looking for breadcrumbs or a quick snack.) The crooner took the bird’s appearance as an invitation to sing to it, and he gave the little sparrow his all, right down to Rat Pack-worthy finger snaps and points. Oh, look at me now. much better than, Casanova at his best. I’m so proud I’m busting my vest. People, places and things mentioned in this post: Central Park, The Virgin Cure.